Susan attended Amarillo College and stayed in Pampa working for various doctors’ offices. Later, she returned to Amarillo College to earn her AAS in Dental Hygiene in 2005. She worked as a hygienist and handled all office management for an oil and gas company simultaneously. Susan raised two beautiful daughters as a single mother. Her oldest, Alyssa, graduated from the University of Oklahoma in 3 years and went on to complete her Master’s in counseling. She is married to her high school sweetheart, Alex, who is in his 2nd year of Emergency Medicine residency. Her youngest daughter, Sydney, also graduated from OU and followed in her mother’s footsteps as a Dental Hygienist. 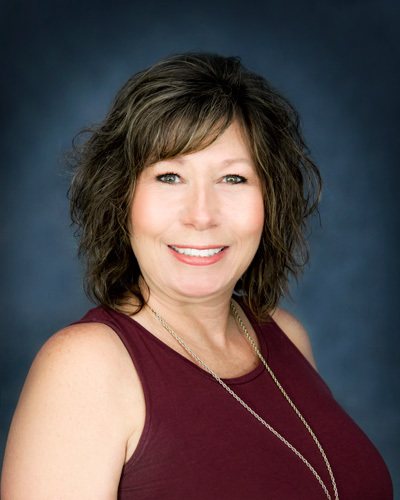 In 2014, the newly opened Attorney Dean Boyd firm actively recruited Susan to become their Operations Manager. In addition to providing all financial services for the firm, maintaining payroll, and providing all new employee training, she also works actively within the entire office management. Basically, all jobs within the firm touch Susan in some capacity. In her spare time, she loves to work out and spend time with her beloved Shiba Inu dogs, Emi and Ren.